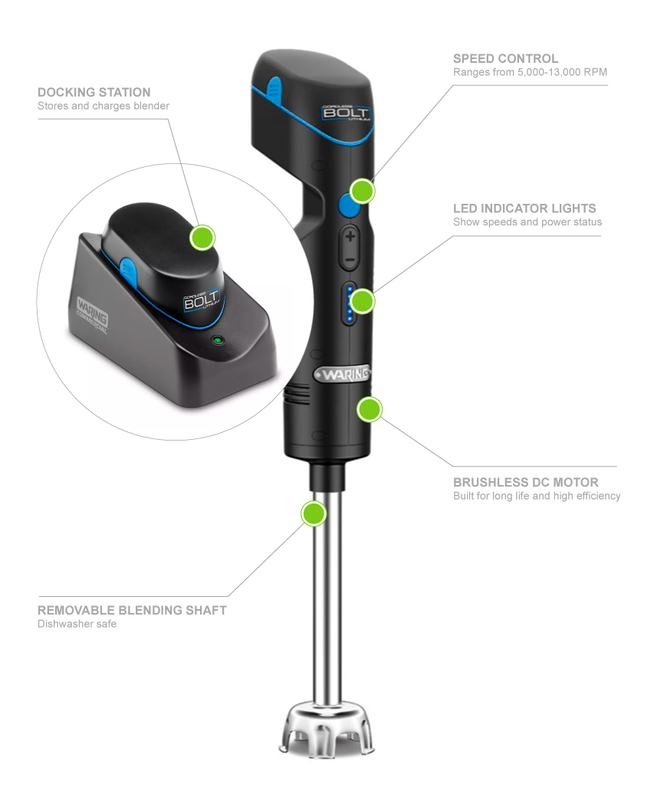 The Waring WSB38X Bolt™ immersion blender is great for smoothing bisques, salsa, sauces, and more. 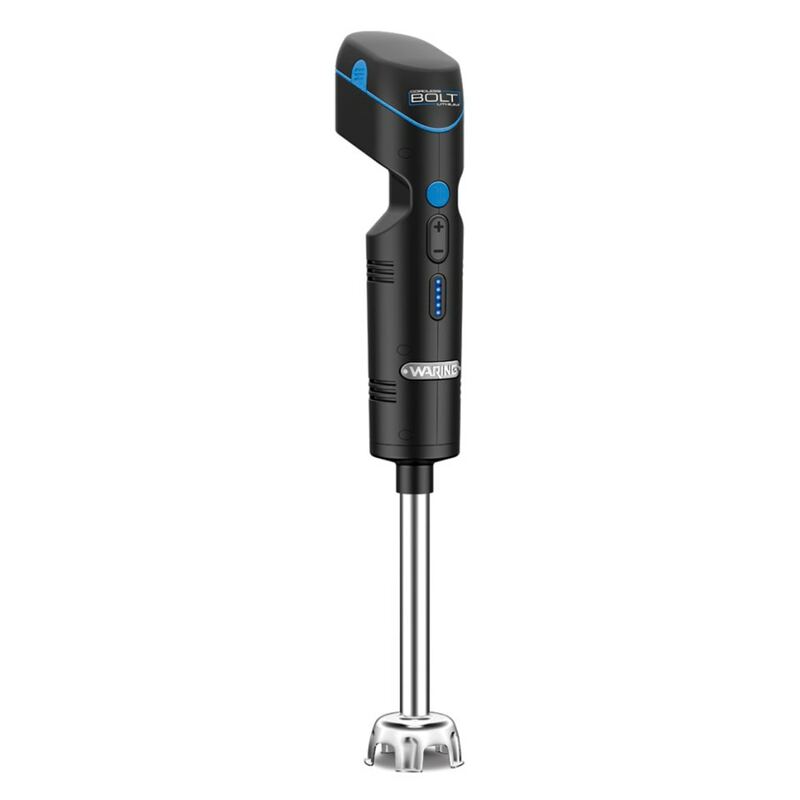 Its 7-inch stainless steel shaft enables the blender to be used in large stock pots, and it can be removed for cleaning. On the black housing, LED lights provide information on power and speed. This unit uses a lithium ion battery pack for power, which charges on a docking station, and speed ranges from 5,000 to 13,000 rotations per minute. We provide in-depth information on units like this in the Waring immersion blenders article.